Atom is a new movie ticketing app and website that makes going to the movies easy again. 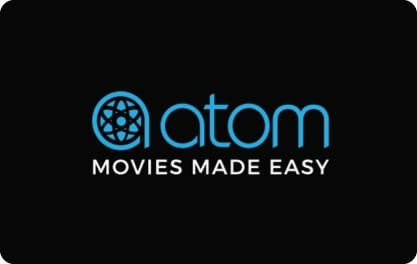 Atom has simplified everything from finding the movie you want to see, to coordinating with friends, to buying concessions. Atom is movie-going for the twenty-first century.